These fruits contain tannins and the vitamins A and C. Bilberry has been used to treat a variety of minor medical conditions since the 16th century. During WWII, British pilots noticed that their night vision improved after eating bilberries. Since then, research has found that bilberry also may be useful for other eye disorders and it is considered to be the leading herb for supporting optimal eye health. Scientists also believe that bilberry can lessen free radical damage by strengthening capillaries and improving blood flow. Bilberry is a potent antioxidant and may strengthen collagen in the ligaments, tendons and cartilage. As a source of vitamins A and C and anthocyanosides, bilberries are a source of antioxidants. Antioxidants scavenge the body for free radicals and eliminate them before they can damage muscle tissue, vital organs, or DNA. As a result, bilberry may offer some protection against the onset of various cancers. In addition to having antioxidant effects, anthocyanosides are also clinically proven to promote blood vessel health and proper circulation. 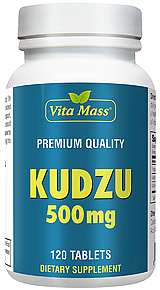 Improved circulation may lead to vasodilation, enhanced vision, the prevention of macular degeneration, improved joint health, increased blood flow to the brain, normalize blood clotting, supply the nervous system with blood, and reduce blood pressure. Indeed, bilberry has been used anecdotally to enhance vision, to increase blood supply to smooth and skeletal muscle tissue and to reduce blood pressure. As a source of quinic acid, bilberry - like its cousin the cranberry plant - may be useful for treating urinary tract infections and kidney stones. Additionally, clinical trials indicate that quinic acid may have beneficial effects on the treatment of Alzheimer's disease. The tannins in bilberry have been used successfully to speed wound healing after dental surgeries, and reduce throat inflammation arising from flues, colds and allergy attacks. Tannins are also effective as a treatment for diarrhea. Bilberry has been successfully used by insulin-dependant diabetics to reduce the need for insulin administration. Researchers believe that glucoquinine - a compound in bilberry that's proven to reduce blood-sugar levels - is responsible for this effect. Other Ingredients: Soybean Oil, Gelatin, Vegetable Glycerin, Soy Lecithin, Yellow Beeswax, Natural Caramel Color. For adults, take one (1) softgel once or twice daily, preferably with a meal.